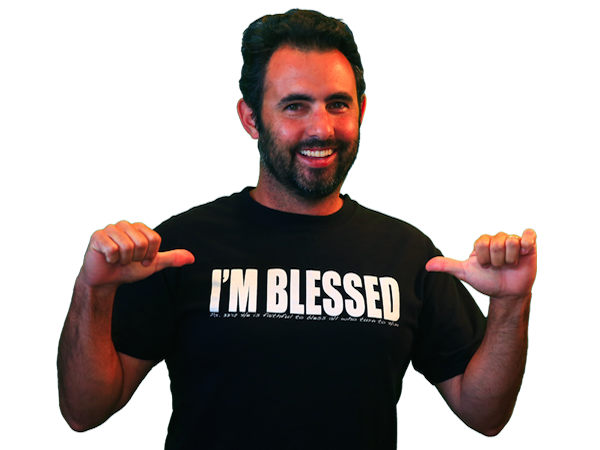 FREE "I am Blessed" T-Shirt with sign up! Tell us why you are blessed and receive a FREE "I am Blessed" TShirt! I believe that God has blessed me. I have a beautiful family, I live in a wonderful location and God has provided me with a very stable financial future. That's just the tip of the blessings. Because of God's Generous giving to me, I wanted to give something to you, something more than this t-shirt. I believe that God has blessed you too. Whether you believe that God is the one blessing or not, God says he has "Hope for you, plans to prosper you and a future." (Jeremiah 29:11) All he asks of you is that you trust him.